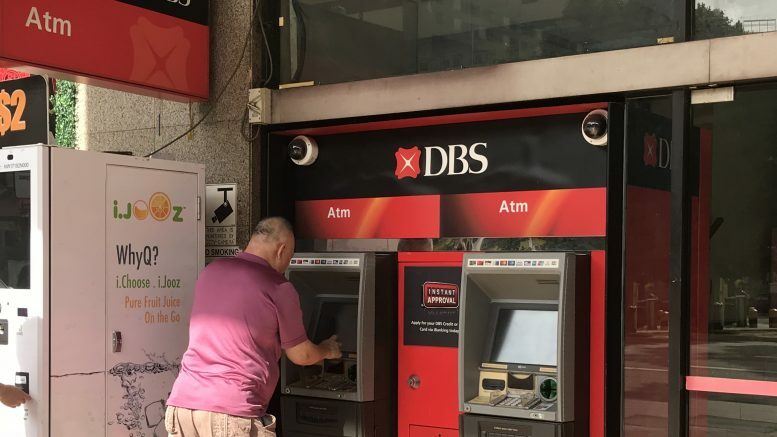 DBS said on Wednesday that it bought back 800,000 shares in the market at S$23.71 to S$23.93 each for a total consideration, including other costs, of S$19.11 million. Since the April 2018 start of its buyback mandate, DBS has bought back 10,854,800 shares, or 0.4234 percent of its issued shares excluding treasury shares at the time the mandate began, it said in a filing to SGX after the market close on Wednesday. Singapore Post said on Wednesday that it bought back 400,000 shares in the market at S$1.01 to S$1.02 each for a total consideration, including other costs, of S$404,719. Since the July 2018 start of the buyback mandate, SingPost has bought back 6.76 million shares, or 0.2986 percent of the issued shares excluding treasury shares at the time the mandate began, it said in a filing to SGX after the market close on Wednesday. Roxy-Pacific Holdings said on Wednesday that it bought back 199,700 shares in the market at S$0.38 each for a total consideration, including other costs, of S$76,121. Since the April 2018 start of the buyback mandate, Roxy-Pacific has bought back 8,026,200 shares, or 0.6744 percent of the issued shares excluding treasury shares at the time the mandate began, it said in a filing to SGX after the market close on Wednesday.